The WordPress Weekly Photo Challenge today is PERSPECTIVE. 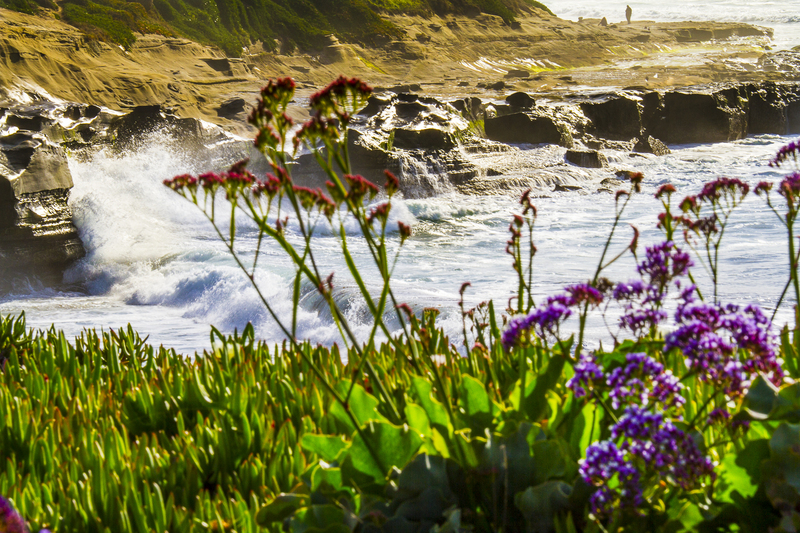 The first photo shows the La Jolla shore yesterday afternoon with blooming flowers in the foreground and crashing waves against the rocks in the background. 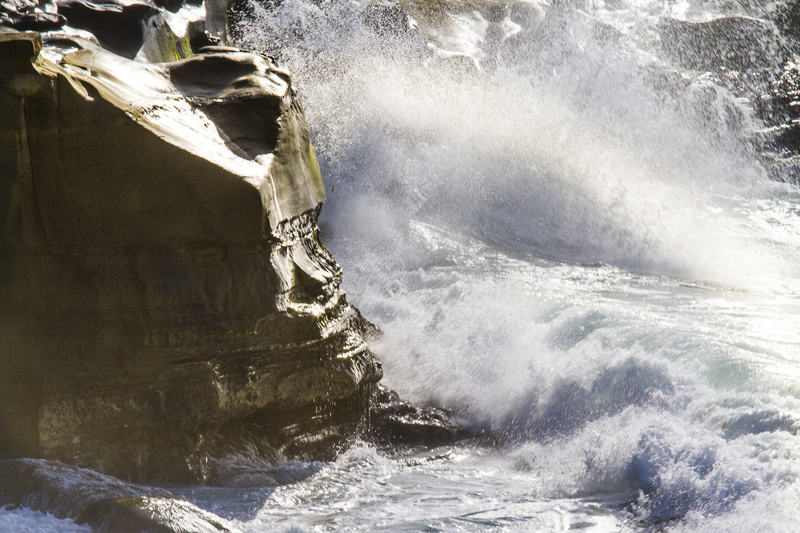 For the second photo I stood up and zoomed in on the rocks to catch the next wave to come crashing in and the effect makes it seems like the surf is much larger surf than it actually is. It’s all a matter of perspective. See more perspective images at the Weekly Photo Challenge. I like the shots though! The monkey likes to keep his fur dry! Nice! Thank goodness for a zoom, huh, so you didn’t have to climb down there. 🙂 Great pics, by the way. That worked well. The second shot really makes the waves look much bigger than they really are.